Italy appears to be the latest country vying to jump into the international animation pool — and it’s doing so with animated animals. According to an article in Variety, Ambi Pictures (currently producing a live-action film with Al Pacino called The Humbling) have announced their first animated feature, Arctic Justice Thunder Squad, directed by Matthew Lyon and animated in his native Canada. “The tale turns on a sinister walrus who plots to accelerate global warming and melt the Arctic Circle. 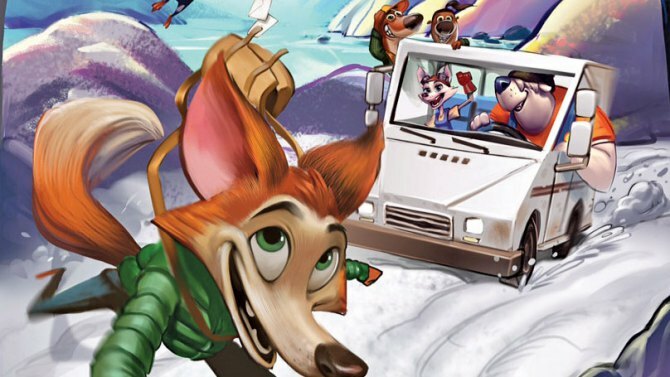 A rag-tag group of inexperienced heroes, led by a fox, must come together to foil his nefarious plan and save the Arctic.” The producers, Andrea Iervolino and Monika Bacardi, are currently in America looking to secure funding and distribution for the film. So far, no word on a possible completion date for it. Canadian artist and writer Eric Orchard makes quite a big splash with his first graphic novel, Maddy Kettle: The Adventures of the Thimblewitch. 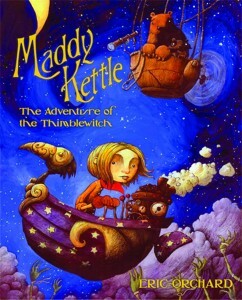 This is from Previews: “Maddy is an eleven year old girl with a pet toad named Ralph. And they’re on a rather big adventure right now, as her parents are currently kangaroo rats – having been put under a spell. On their way to find the Thimblewitch to sort everything out, they battle Spider Goblins and befriend two endearing Cloud Mappers, Harry the bear and Silvio the raccoon, who help them get where they’re going. 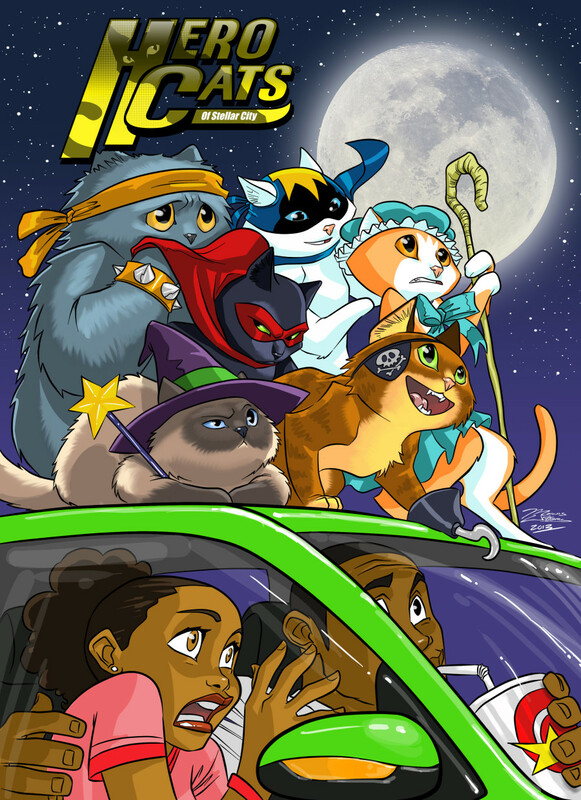 We won’t tell you what happens next, but we can assure you that it’s a beautiful and magical ride.” Top Shelf Productions will release this full-color all-ages fantasy in trade paperback this October. 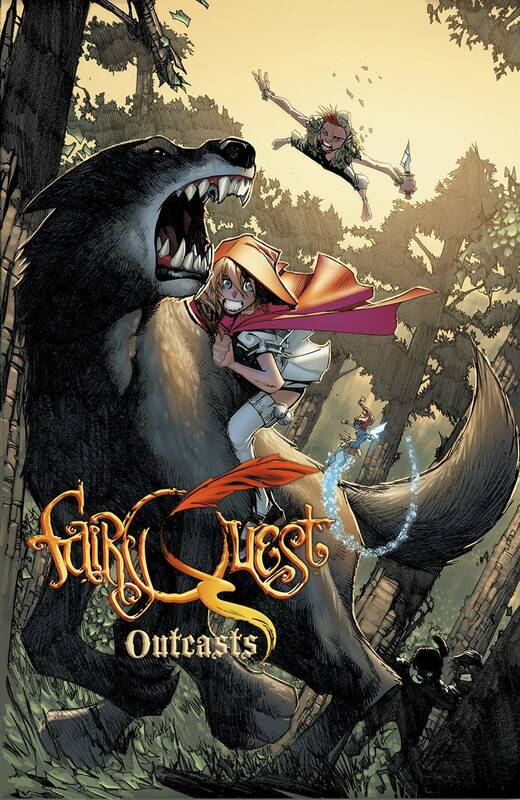 If you haven’t already, you might want to make yourself familiar with Fairy Quest by Paul Jenkins (story) and Humberto Ramos (art). 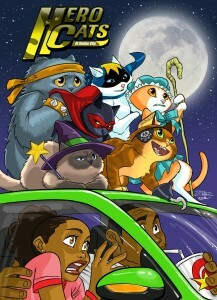 After selling out of their original trade paperback, Fairy Quest: Outlaws, Jenkins and Ramos ran a successful Kickstarter campaign to continue the story. And now Boom! 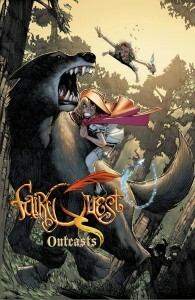 Studios have picked up that continuation as a new full-color series, Fairy Quest: Outcasts. In the magical land of Fablewood, all the myths and legends of old must live their lives by the dictates of their Story — else the evil Think Police will wipe their minds clean. Now, Red Riding Hood and Wolf have broken the law — by becoming good friends. The first issue of Outcasts will hit the shelves this October. 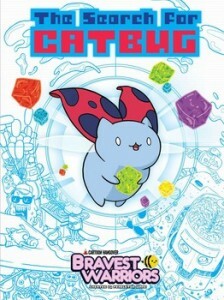 Check it out at Previews. Comic strip creator Dana Simpson (best known for the Ursa Major Award-winning Ozy & Millie) has a new on-line black & white comic, Heavenly Nostrils. (It’s up and running on Go Comics.) 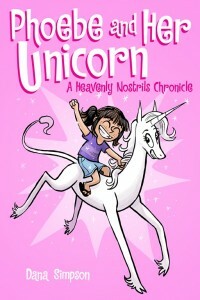 One day a little girl named Phoebe is out skipping stones on a pond — and she accidentally bonks a unicorn on the nose. By freeing that unicorn, Marigold Heavenly Nostrils, from her reflection-induced staring spell Phoebe is granted one wish… and she wishes for herself and Marigold to be best friends. From there, things get complicated. 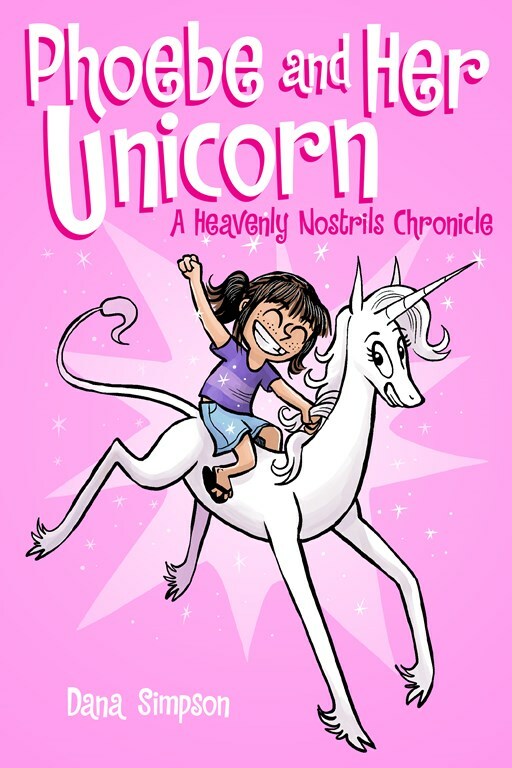 Well now Andrews McMeel Publishing have released the first paperback collection of Heavenly Nostrils strips, appropriately enough entitled Phoebe and Her Unicorn. Check it out at Barnes & Noble. Personalized books for kids (that is, books specially printed to include a child’s name or personal information in the story) go back quite a ways. 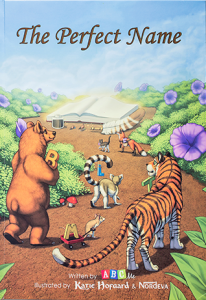 Now ABC Me Books (www.abcmebooks.com) have a new angle on the popular ideas: Teaching kids to spell, using their very own names and a menagerie of animals for each letter. 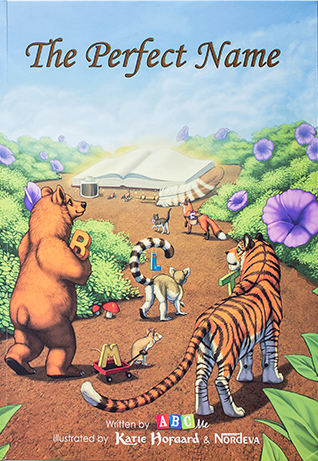 They have two customizable books currently: My ABC Book (working the child’s name into a mini-scene for each letter in the alphabet), and the even more personalized The Perfect Name, in which the animals illustrate why each letter in a child’s name is particularly cool. 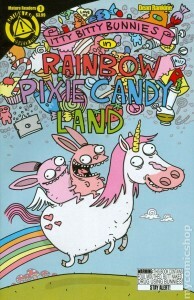 The books are illustrated by Katie Hofgard (known as the anthro illustrator Wolf-Nymph) and Nordeva. The big-name comic book publishers like to do things big. Really big: Whole universes have been made and destroyed on a regular basis. Now DC Comics is on the move again with The Multiversity, a new full-color series that tells of a massive threat to all 52 of the known universes in the DC world. Created by superstar comics writer Grant Morrison (Animal Man and so much more…), the story goes like this: “The Multiversity is more than just a multi-part comic-book series. It’s a cosmos spanning, soul-shaking experience that puts YOU on the frontline in the Battle for All Creation against the demonic destroyers known as the Gentry! 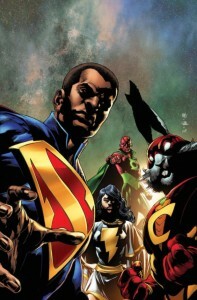 In issue #1, pencilled by superstar artist Ivan Reis (Aquaman, Justice League), President Superman of Earth-23 uncovers a threat to all Reality so apocalyptic it will take a team of incredible heroes from across the Multiverse to face it – including Captain Carrot, like you’ve never seen him before!” Oh really now? Over at The Escapist they have a more complete review of the series.